Cape Byron Retreat offers the perfect venue for your group looking for wedding, corporate or retreat syle accommodation. The perfect size for small groups, guests can have the entire property to themselves. 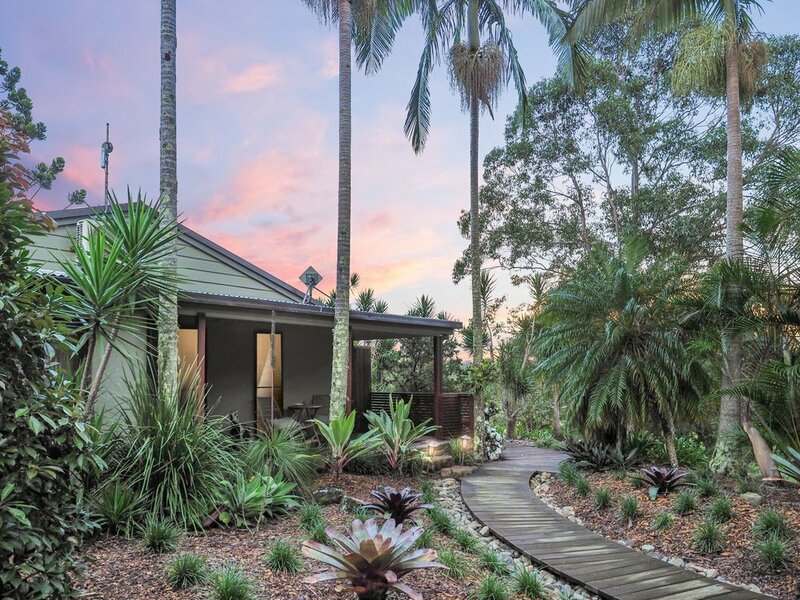 Host your guests in hinterland luxury with the vibrancy of Byron Bay only a few minutes away. The ultimate space for board meetings and incentive groups delegates will be surrounded by rainforest and lush landscapes. The perfect environment to inspire delegates your groups will have the space to reconnect and recharge. Whether it be a brainstorming session or a reward let us help your group achieve. Twice a year our Executive Team has an out-of-office break-away for 3 days to strategise on the next 6 months, and we always try to go somewhere different. In June this year, we approached Cape Byron Retreat to see if they could accommodate our large group of 10 Executives (plus a couple of guest presenters), and offer us meeting room facilities, break-away areas etc. Despite the fact that Cape Byron Retreat had never undertaken such a booking, they all went out of their way to make this possible for us. Eight of our attendees had their own bedroom with en suite bathroom, and the balance were booked into Azabu Boutique Accommodation, which is just over the road from Cape Byron Retreat. Cape Byron Retreat is situated in a rural setting with magnificent views across the rolling hills to a distant Mount Warning, and the exclusivity of the Retreat enabled our Executives to communicate freely with each other, as well as having some team-building events, and a little well-deserved down-time. The Cape Byron Retreat Team deserve nothing but praise for so successfully executing what must have been a very challenging event. Enjoy privacy and intimacy in the uncrowded, beautifully styled retreat. Exceptional, personalised service comes as standard allowing everyone to relax and enjoy a truly romantic getaway. Cape Byron retreat offers a range of room types including self contained cottages, as well as Deluxe Spa studios.